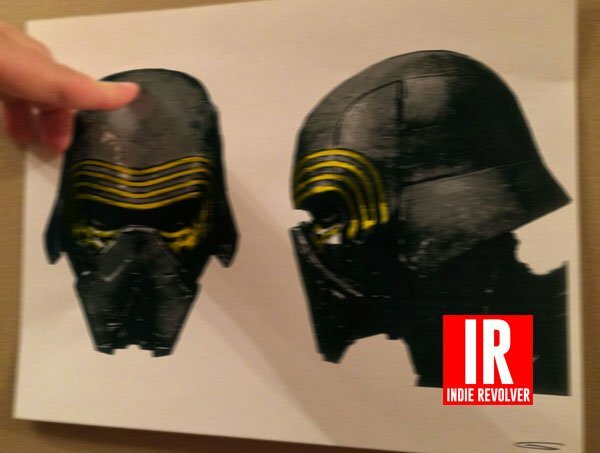 Indie Revolver posted the bit of helmet production art that you see above, and says in their report that it will be worn by the film’s foe - identified as Kylo Ren. 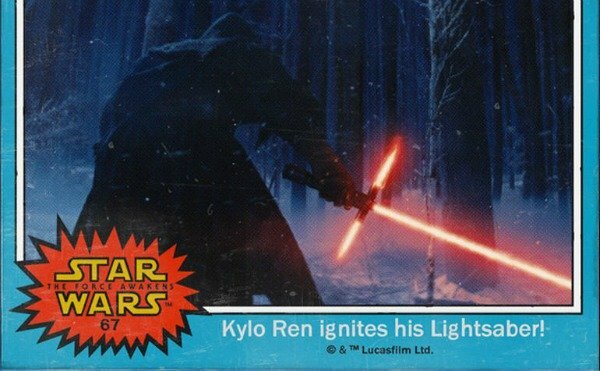 This name was recently revealed that villain will be called Kylo Ren. The moniker for the dark, cross-lightsaber wielding warrior was recently revealed in the form of an awesome trading card, but much like the teaser trailer for the Star Wars: The Force Awakens, it didn't reveal what the shadowy figure was wearing under his cloak. Adam Driver has turned into one of the most promising and well-respected young actors in Hollywood thanks to his work on the HBO series Girls, and in movies like Inside Llewyn Davis, and Frances Ha. He is part of a cavalcade of new actors joining the Star Wars universe, the group of newcomers also including Domhnall Gleeson, Andy Serkis, Daisy Ridley, John Boyega and Oscar Isaac. They will be joining the old guard of Star Wars thespians for the seventh installment in the hugely popular series. And while there will always be skeptics, these images suggest that that we will be in for something simultaneously new and old when Star Wars: The Force Awakens finally hits cinemas on December 18, 2015.